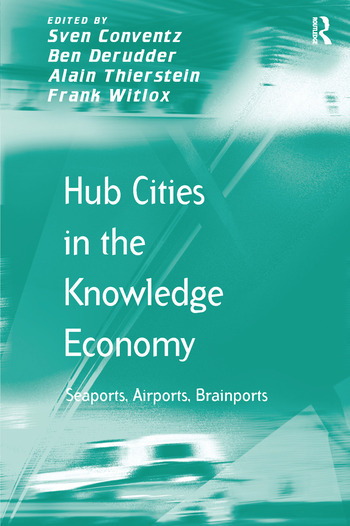 The overarching research topic addressed in this book is the complex and multifaceted interaction between infrastructural accessibility/connectivity of city-regions on the one hand and knowledge generation in these city-regions on the other hand. To this end, the book brings together chapters analysing how infrastructural accessibility is related to changing patterns of business location of knowledge-intensive industries in city-regions. The chapters in this book specifically dwell on recent manifestations of and developments in the accessibility/knowledge-nexus, with a particular metageographical focus on how this materializes in major city-regions. In the different chapters, this shifting relation is broached from different perspectives (seaports, airports, brainports), at different scales (ranging from global-scale analyses to case studies), and by adopting a variety of methodologies (straddling the wide variety of methodological approaches currently adopted in human geography research). Researchers contributing to this edited volume come from different scholarly backgrounds (sociology, human geography, regional planning), which allows for a varied treatise of this research topic. Sven Conventz, Munich University of Technology, Germany, Ben Derudder, Ghent University, Belgium; Alain Thierstein, Munich University of Technology, Germany and Frank Witlox, Ghent University, Belgium.